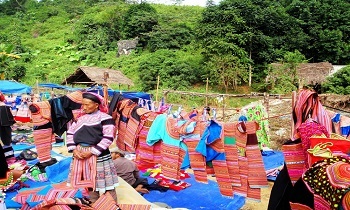 Ham Rong mountain is one of the most beautiful-shaped mountains in Hoang Lien Son mountain range. 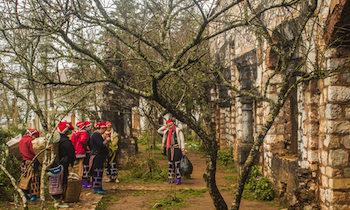 From the tourist town of Sapa, you can see the Ham Rong mountain in the back of Sapa stone church and Ham Rong hotel. From afar, you can see Ham Rong mountain is like the dragon flying to the sky, the dragon head is the top of Ham Rong mountain, the tail of dragon is put on the sky gate. 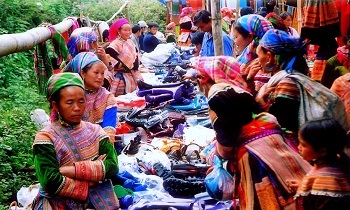 According to indigenous people, ethnic people in Sapa town often whispered to each other about the Ham Rong mountain legend. Legend has it that from a long time ago, there was an intense cataclysm that appeared, meanwhile, a couple of dragons were engrossed each other without knowing it. By the time the flood would come, and the two dragons panicked and could not escape; female dragon petrified, but still looked up at the male dragon on the west side of Hoang Lien Son range. Started work in 1996, Ham Rong resorts has 148 hectares width, which fully exploited the wild character, nature of the moss stone forest. 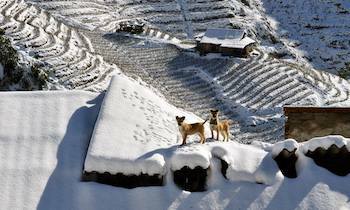 Ham Rong is a miniature Sapa; it likes a dragon flying among white clouds. There are many legends about this mountain. The most interesting folklore is said that when Sapa was sinking in the ocean, two dragons brothers came here, his father discovered that thing so he called two dragons to come back home. The big brother dragon heard so he few into the heaven, the little dragon was playing in The Water Palace who could not hear. After a long time, the little dragon few into the heaven but it had closed. The little dragon had to stay on the earth forever and he turned into a mountain. 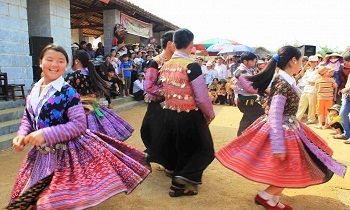 Sapa is very fascinating with the cool climate, special cultural landscape, Ham Rong Mountain is considered as the Sapa’s fairy. 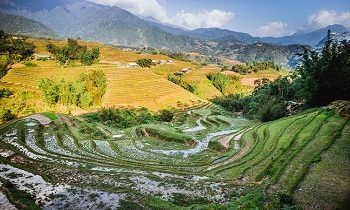 From Lao Cai to the bridge 32 to Sapa is about 6 kilometers, tourists can see the mountain in the middle of the immense space. It likes a dragon with the curving body. 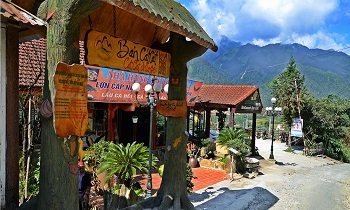 Located in the heart of Sapa town, it is far from the center of town about 200m; tourists can walk to Ham Rong on foot. 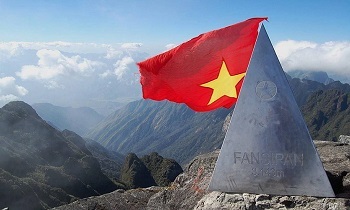 In order to conquer Ham Rong peak, visitors will have to cross the steps built of stone, through flower gardens such as Orchid Garden, Peach Garden, Sapa Telecommunication Station, and Heaven Gate. There are many flowers planted in these locations, they are everywhere making the mountain space become full of life. 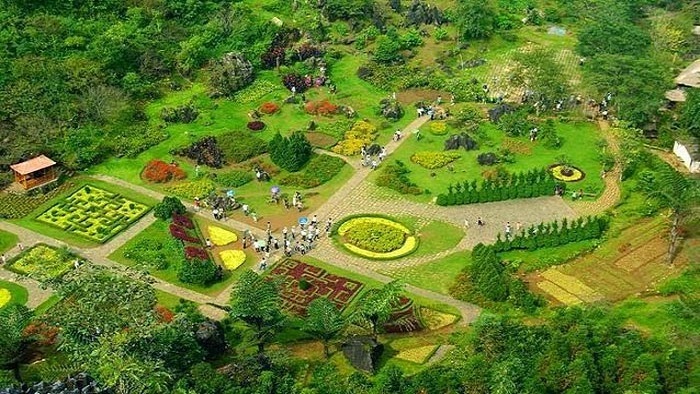 Orchid garden is the first stop in the journey to conquer Ham Rong mountain. Called Orchid Garden because of this place, there are many different orchids. According to statistics, the whole garden has more than 200 different species of orchids. Perhaps because of cold weather from 15-18 Celsius degree and fresh mountain air suitable for growth, orchids here grow very well with big and beautiful flowers. Guests can freely take photos of the orchids. Go through orchid garden, visitors will come to the Peach Garden. 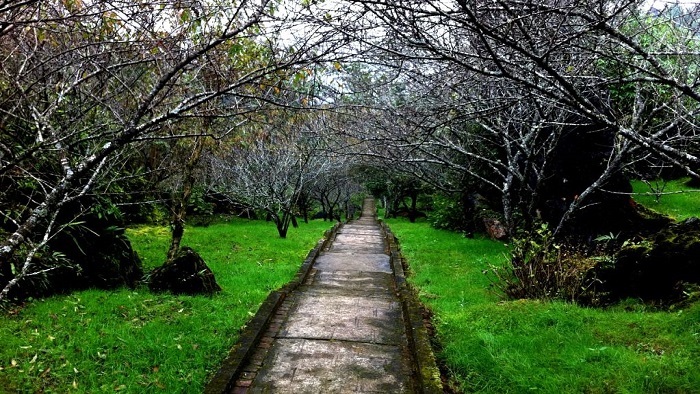 If going on Tet, visitors will admire the beauty of hundreds of blooming peach trees. Here, visitors also see many other temperate region flowers such as hydrangeas, peony, dahlia .... 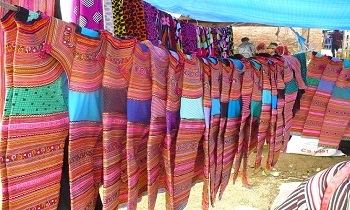 The flowers are brought back from abroad. This is an ideal location for you to walk and take photos with vibrant colors of over 300 species of orchids, Fan Si Pan mount- the roof of Indochina, European garden, national cultural village, Heaven Gate, etc. 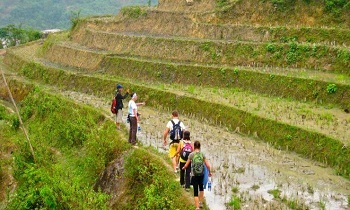 Let's join Sapa tours from Hanoi or Sapa package tours to have opportunity to explore this attractions.